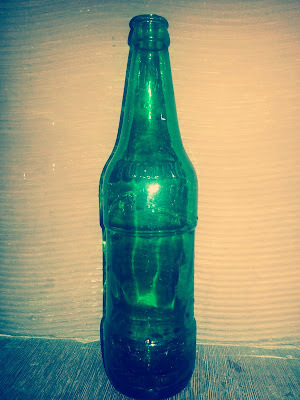 Take an empty beer bottle and clean it thoroughly from inside. 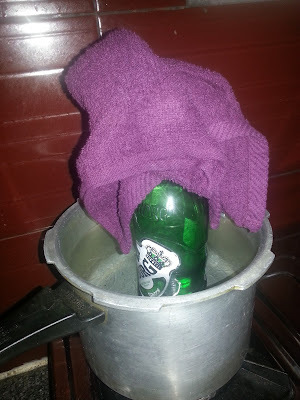 Now fill 3/4th of the boiler with water and hold the beer bottle with a pot holder or a towel (I used a folded hand towel). After 10 to 15 minutes the steam starts affecting the glue and softens the label. Carefully remove the labels with your hand. If you feel the glue is still there on the surface wash it with a dish washer. 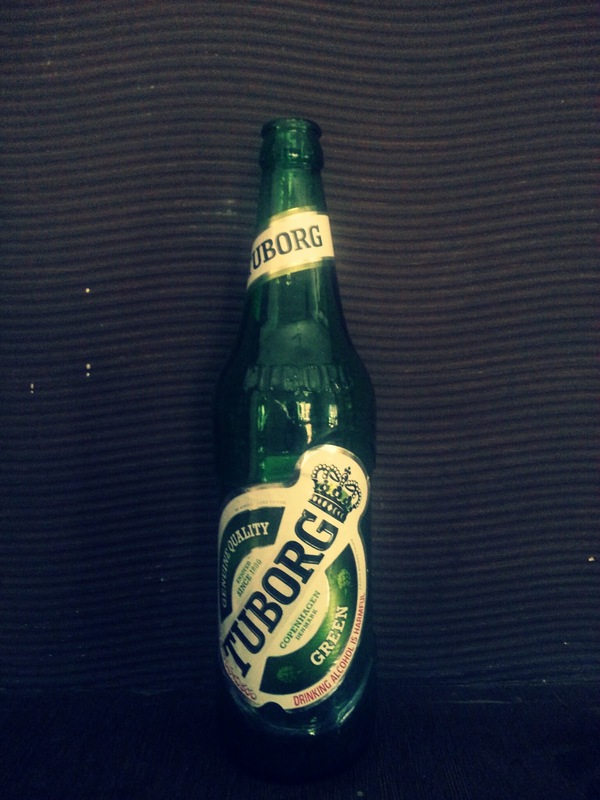 Bottle is ready for use. I filled the bottle with sand and pebbles to make the flower vase look natural. 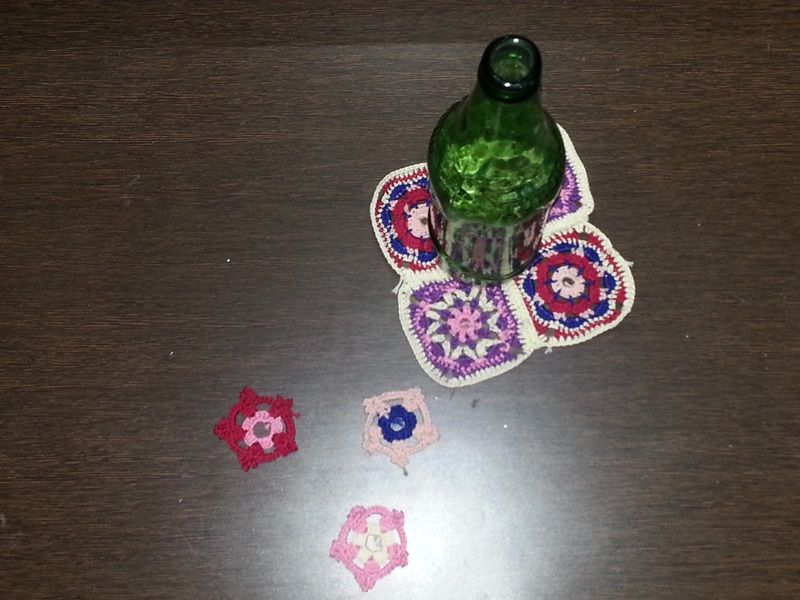 Let your imagination run wild and make your own flower vase. Stunning idea of vase to make awesome Arrangement of Flowers.